Mr Chan is Founder of Playmates Toy Group, which was the first company in the toy industry listed on the Hong Kong Stock Exchange in 1984. Mr Chan is a highly respectable philanthropist who has supported many charitable causes. 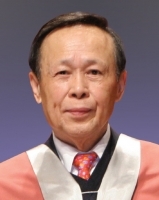 He has been named honorary citizen of Shantou and Jieyang, and was Honorary President of the Federation of Hong Kong Guangdong Community Organisations.